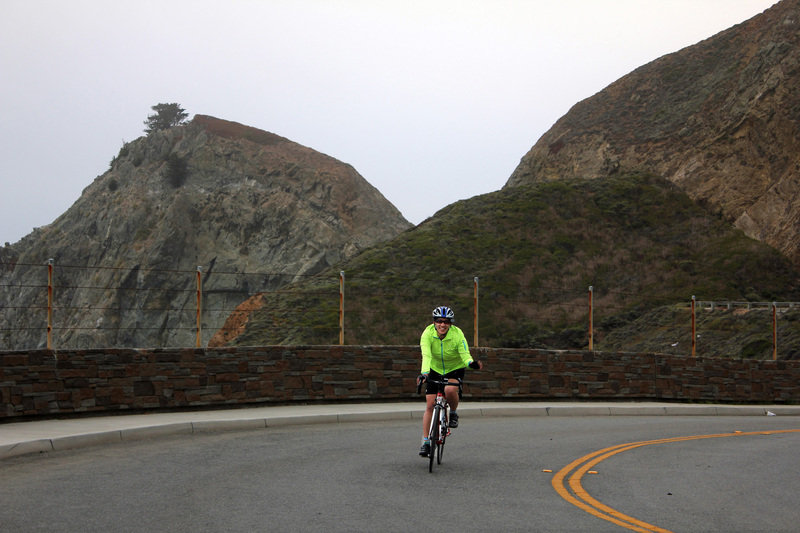 The Fiendish Fortymile (formerly The Hellion’s Metric Half-Century) takes you on a trip along the San Mateo County coastline where you’ll be treated to spectacular views of the Pacific Ocean and get off the beaten path to explore the peaceful and picturesque countryside. With a moderate elevation gain of 2510′, this ride is geared towards intermediate/advanced cyclists looking for an exhilarating, scenic and fun medium-distance ride. Riders under 18 must be accompanied by a parent or guardian. If you don’t feel comfortable riding in a tighter section of Highway 1, we encourage you to take our free shuttle, which will allow you to bypass the 2.4-mile stretch of Highway 1 North between Montara and the Lantos Tunnels (please see map below). If you opt to ride the entire way, your total route length will be 42.4 miles. Check our Early Packet Pick-Up & Event Day page for starting times and additional details. You can also follow us on Twitter, Facebook and Instagram. If you have specific questions about the course, please email us at dsr@parca.org or use the Contact Us form below.